Layer the garlic and sausages onto a parchment lined baking pan. 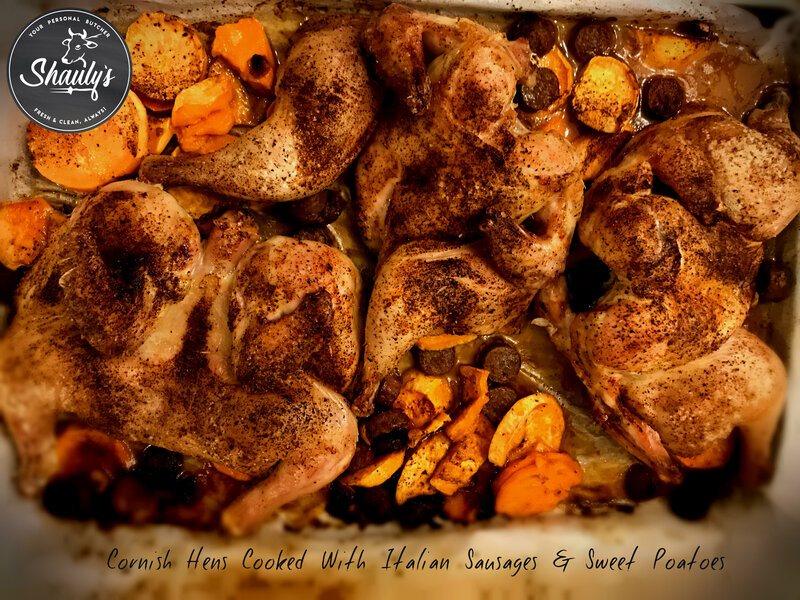 Add the cornish hens on top, skin side facing upwards. Sprinkle the seasoning spices and then let it bake for about 90 minutes.